Are You Thinking of a Legally Valid Wedding in Istria, Croatia? We’re your wedding planners & destination specialists for romantic weddings, honeymoons, proposals and vow renewals in a style. We organize weddings in the whole Istria and Croatia from intimate to large wedding parties. Unique and theme weddings aboard cruising boats and luxury mega yachts, at beaches, rocky light houses, private islands, or in paradise gardens and exclusive villas. We’re part of international wedding agency YachtWedding and members of prestigious Yacht Romance Group with offices in Miami, London, Prague, Split and Cape Town. Escape the crowd and live you dream ... live for the moment. Why Organize Your Istrian Wedding & Honeymoon With Us? 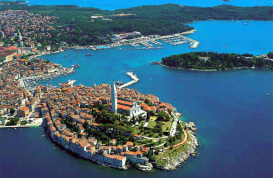 Why choose Croatia and Istria for Your Wedding and Honeymoon? The blueness of Istria shoreline contrasts with the lush greenery of its interior underlining its image of green Mediterranean. Tiny midevil towns which, themselves somewhere between waking and sleeping, erase that thin line that divides the real from the illusion. And turn into your very own story of your love. Istria with its small, picturesque medieval towns of Porec or Pula emanate the peace and gentleness of landscapes that irresistibly evoke the most beautiful parts of Provence or Tuscany. Novigrad is like an old tapestry full of lively colors. An ancient city built on an island is the setting of stunning a history. 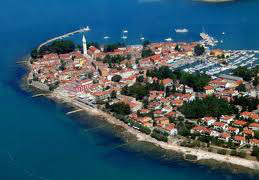 The beautiful city of Porec is the most popular holiday resort in Istria. The old town with a quay is a great wedding venue. Rovinj is a charmingly picturesque town with Italian-style narrow, cobbled streets and the highest church tower in Istria. 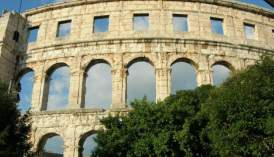 Located beneath seven hills and with views of the Adriatic, Pula's unspoiled natural and Roman surroundings are magical. 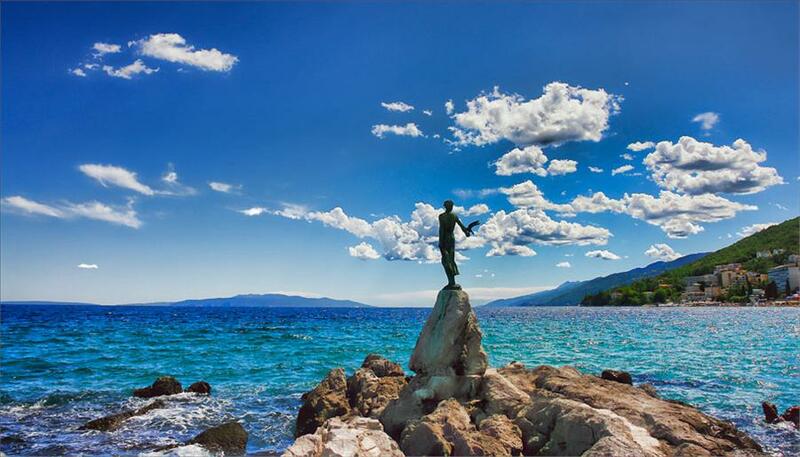 Opatija is a tranquil resort on the corner of the Istrian peninsula in the Kvarner. Opatija has something for everyone. The Brijuni Islands is an exotic place of stunning beauty and a perfect wedding location for your wedding photography. 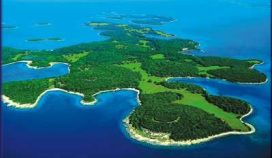 We're here to assist you with your wedding & honeymoon in Istria.